We’re starting a new series here at Annexe. It is based on the book you love. Yes, you. Out there. Reading this. Not just you either. It’s about all the books we love. Do you have a book that you pick up and revisit every so often? A classic that always comes to mind? We’d like you to share it with us and the world. The Late Review is exactly that. 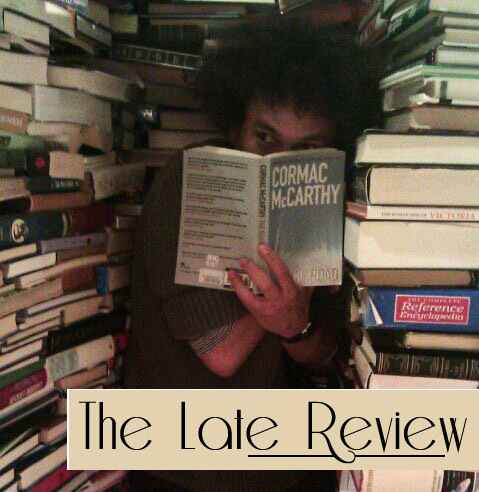 A review of a book, not necessarily new (in fact probably not new) that really speaks to you. All it has to be is a couple of sentences on what the book is about and why you love it so much. If you’d like to be one of our first reviewers, either drop us an email OR (far better) come along to our spoken word festival INTERROBANG on Saturday! The Annexe team will be flitting about with recorders ready to capture your review in crystal clear sound. If it’s not an awkwardly huge one, bring the book along as well. We’d love to get a snap of you holding it to accompany the review. Of course, there are Annexe gifts awaiting anyone who becomes a reviewer! Interrobang Festival is on Saturday 17th November at The Betsey Trotwood. It’s all day (12pm-12am) and is a bargain at £6 so come along and enjoy the multitude of amazing acts.